My life has been a bit overfull of late. Some events were extraordinarily challenging, and others bordered on ecstatic. Really. Almost everything was on one end of the spectrum or the other. And I was not as on top of my calendar as I should have been. Tim has a great sense of humor. Like a good minister, he’s a great cajoler and encourager. And without realizing what he was doing, he also gave me a great topic for this column. I don’t know about you, but I am struggling lately with the sheer volume of upsetting events around me. On the public stage, I’ve been profoundly distressed by the imprisonment of migrants and refugees and their vulnerable children at our borders. That should come as no surprise to anyone grounded in the Judeo-Christian tradition. The very first principle of Catholic social teaching (which extends itself, due to its beauty, well beyond Catholic circles) reminds us that “people have the right to migrate to sustain their lives and the lives of their families.” This applies during war, natural disaster, famine or when their lives are endangered by violence. On the local level, I’ve watched determined friends struggle to raise awareness of the lack of affordable housing in Eden Prairie. It was not until my sister began looking for an apartment here this summer that I saw how high our apartment rents are. Right now, they average $1,233 (for a one-bedroom) to $1,902 (for a three-bedroom — rents that are 20 percent higher than average in the Twin Cities metro). Well, we have great quality of life here that justifies that cost, you might say: But these rents cause a staggering 68.3 percent of Eden Prairie households to be cost-burdened, sometimes forcing people to move and lose access to our wonderful schools, among many other things. Common Bond Communities and United Properties are leading the effort to create a development with mixed-housing options for residents with lower incomes in Eden Prairie. Certainly, that will include those in our community who came here as refugees seeking safety and prosperity. It will also include people in entry-level positions, young families, senior citizens and those in chronically underpaid positions like teachers and child-care workers. The leaders of a number of faith communities, including mine, support this effort. Which leads me to the second principle of Catholic Social Teaching: “The overriding principle … is that individuals must make economic, political and social decisions not out of shortsighted self-interest, but with regard for the common good. That means that a moral person cannot consider only what is good for his or her own self and family but must act with the good of all people as his or her guiding principle.” Indeed. Finally, I’ve been on a roller coaster with some folks in my life who are struggling with chronic health issues and their fallout. To respect their privacy, I’ll leave it at that. So what does all of that have to do with my smart and insightful editor Tim, you ask? We live in an age where people are more likely to say that they are spiritual than that they are religious. Religion (perhaps justifiably due to institutional abuses and hypocrisy) has a bad rap. To be spiritual, however, is attractive. It means that I believe that there is something greater than me afoot; that we are all one. To be spiritual is to care about other people, about animals, about the health of the planet. Spiritual people are kind. They are loving, to others and to themselves. Given the issues that come across our newsfeeds, televisions, radios, and newspapers with unrelenting intensity, as well as the ups and downs of our personal relationships, maybe it’s time to look at how spiritual we are. More and more, I’m seeing being spiritual not as a “feeling” but as a practice. A muscle that all of us can build up and to exercise as needed. The news upsets you? “Quick! Be spiritual!” — act with kindness, love and compassion (yes, sometimes despite the evidence). You’re scared about changes you see in your neighborhood or city? “Quick! Be Spiritual!” Consider that the increasing diversity we live with enriches us rather than detracts. Your Facebook feed giving you agita? “Quick! Be spiritual!” Resist the countering slam or rant. The family has you in a spin? “Quick! Be spiritual!” Breathe and expand the context in which you see the upsetting person and see if you can find some micron of compassion and understanding. It’s not actually all that tough. But it does require some degree of conscious effort and a little muscle. Thank you, Tim, for this week’s mantra: “Quick! Be spiritual!” I have a feeling I’ll be using it a lot in the days ahead. 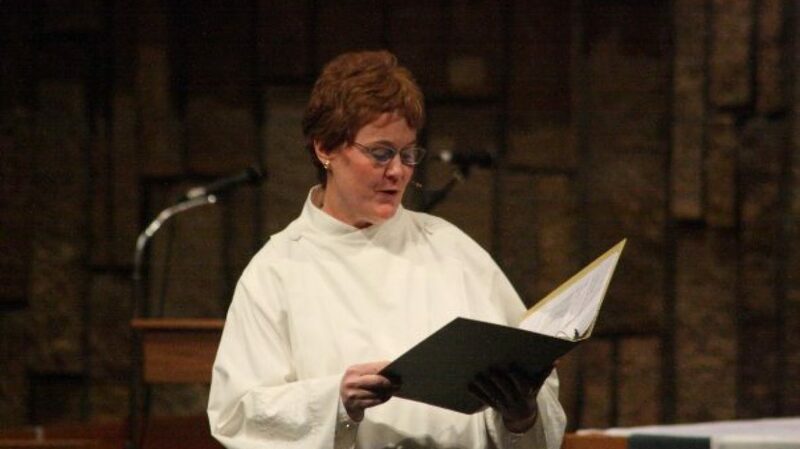 Trish Sullivan Vanni, Ph.D., is pastoral director of the Charis Ecumenical Catholic Community and animator of the Power Center, an interfaith center for spirituality. She shares this space with Bernard E. Johnson, Beryl Schewe, Rod Anderson, Timothy A. Johnson and Nanette Missagh. This column appeared first in the Eden Prairie News.